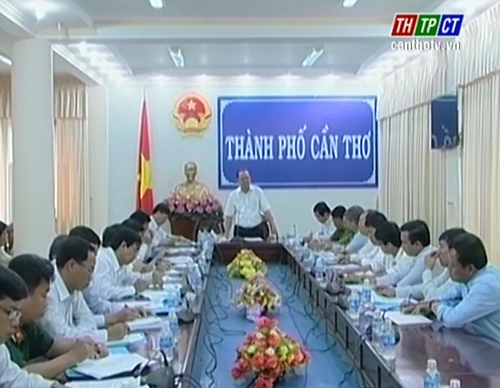 In the morning May 25th, chairman of Cantho city people’s Committee Le Hung Dung and leaders of departments work with leaders of Cantho electric Company and units, which have telpher system and permanents of districts on intensifying information and electric telpher system in the area. Implementing the resolution of Cantho city Party Committee on building cultural lifestyle, urban rule order and plan no.118 of the city people’s Committee, since 2011, Department of information and Communication was clue to link with electric sector and localities and relevant units to carry out arranging information and electric telpher system. 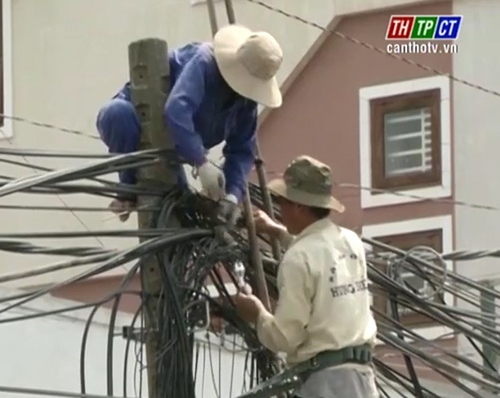 To present, there have about 249,000 metres of telpher in categories in 99 streets of Can Thơ city to be reseted, contribute in improving beautiful site and urban’s space. But, some sections still face with green trees and light-spouts stucking. 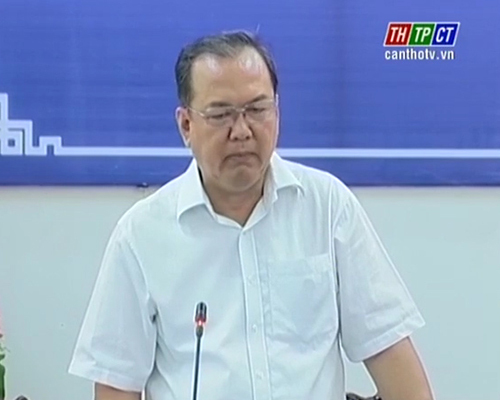 Chairman Le Hung Dung asks the Department of Information and Communication to be clue in coordination with localities and units to complete draft to an end just for issuing regulations about telpher management in the area. Then they frequently inspect, get experiences for high result. On the other hand, they propaganda to create the agreement for response from people.